There are so many muscle building workouts out there that it’s often difficult to determine which routine is the best fit for your own particular needs. You don’t want to be the guy who goes into the gym and moves from one piece of equipment to another, randomly trying everything in the gym — it’s impossible to track your progress and to understand what works so that you can keep doing it! You should have a well-planned workout ready before you ever leave for the gym. Any good workout routine will incorporate the three compound lifts that every real bodybuilder loves: the bench press, squat, and deadlift. These lifts are the cornerstone of all muscle building workouts and you should always incorporate them in some capacity into your routines. 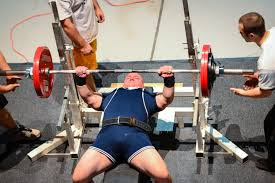 The bench press is one of the most common weightlifting exercises, and always very popular in the gym. It builds the muscles of the chest, which are usually a point of emphasis for hard gainers and skinny guys. It activates a large number of muscle fibers and is the best exercising for building the upper body, making it popular among nearly all guys. There are many bits of advice out there for performing the bench press, but a few tips stick out. Tuck your shoulder blades together before you even get on the bench, and keep them tucked in throughout the exercise. This gives you a solid base from which to lift. Hold the bar with a “natural” arm position — your elbows should not be flared out so that your upper arms are perpendicular to your chest. Make sure that you’re pressing the bar straight up and down, not towards your face. Don’t “bounce” the bar off of your chest when you come down, but simply touch your chest, and keep your back flat on the bench throughout the exercise. Squats are another incredibly useful exercise but focused on the lower body instead of the upper. Squats require you to dismount a barbell, place it on your shoulders, and squat down with the weight on your shoulders; it can seem intimidating at first, but you’ll soon learn to love them for the heavy workout they provide. Squats are a somewhat controversial exercise because many believed that they harmed the knees. 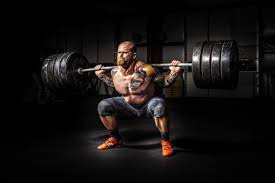 The truth is that as long as your stance is correct and your feet are pointing slightly outward while you perform the exercise, squats will not harm your knees and they may even strengthen them. On the descent phase of the squat, your thighs should drop parallel to the floor and then slightly lower. If your thighs do not reach the point of being parallel to the floor, the stress on your knees will be continuous. 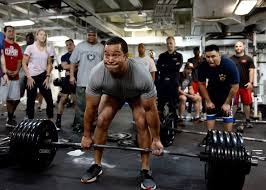 Lots of people are scared of the deadlift because it’s a popular exercise with ripped guys and powerlifters. The truth is that it, like the other compound lifts, it works tons of muscles and is a great way to build stability. However, deadlifts can be dangerous if performed incorrectly, especially with the number of weights commonly used. Proper technique is very important in deadlifting. Your stance should be slightly narrower than shoulder width, and your grip on the bar should be overhand. Your back should remain flat throughout the lift; if your lower back rounds, you will be placing unnecessary stress on it, which can be disastrous. Look forward or slightly up while performing the lift; if you look down at the bar, you may lose balance. The bench press, squat, and deadlift are the three most important muscle building workouts. They should form the core of any workout routine as they are a tried and true method of working out multiple muscles at once and encouraging rapid gains in strength.